Product categories of Aluminum Armor Tape, we are specialized manufacturers from China, Aluminum Armor Tape, Fld Aluminium Armour Tape suppliers/factory, wholesale high-quality products of Armor Protective Tape R & D and manufacturing, we have the perfect after-sales service and technical support. Look forward to your cooperation! 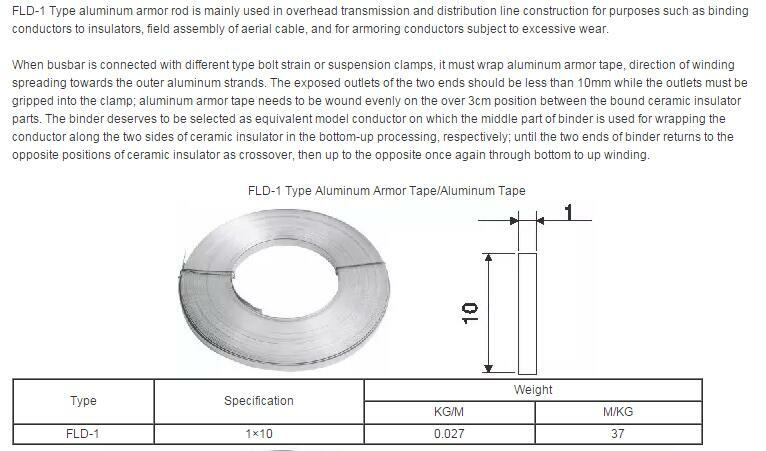 FLD Type aluminum armor rod is mainly used in overhead transmission and distribution line construction for purposes such as binding conductors to insulators, field assembly of aerial cable, and for armoring conductors subject to excessive wear. 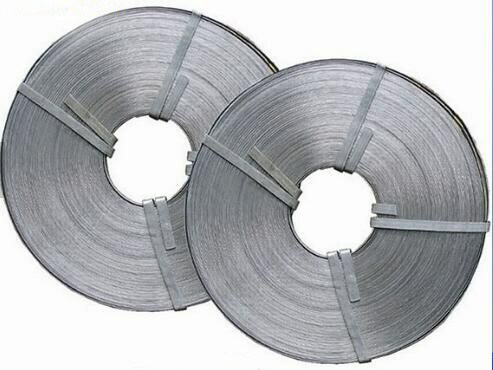 When busbar is connected with different type bolt strain or suspension clamps, it must wrap Aluminum Armor Tape, direction of winding spreading towards the outer aluminum strands. The exposed outlets of the two ends should be less than 10mm while the outlets must be gripped into the clamp; aluminum armor tape needs to be wound evenly on the over 3cm position between the bound ceramic insulator parts. The binder deserves to be selected as equivalent model conductor on which the middle part of binder is used for wrapping the conductor along the two sides of ceramic insulator in the bottom-up processing, respectively; until the two ends of binder returns to the opposite positions of ceramic insulator as crossover, then up to the opposite once again through bottom to up winding.